Gift someone a night to remember. 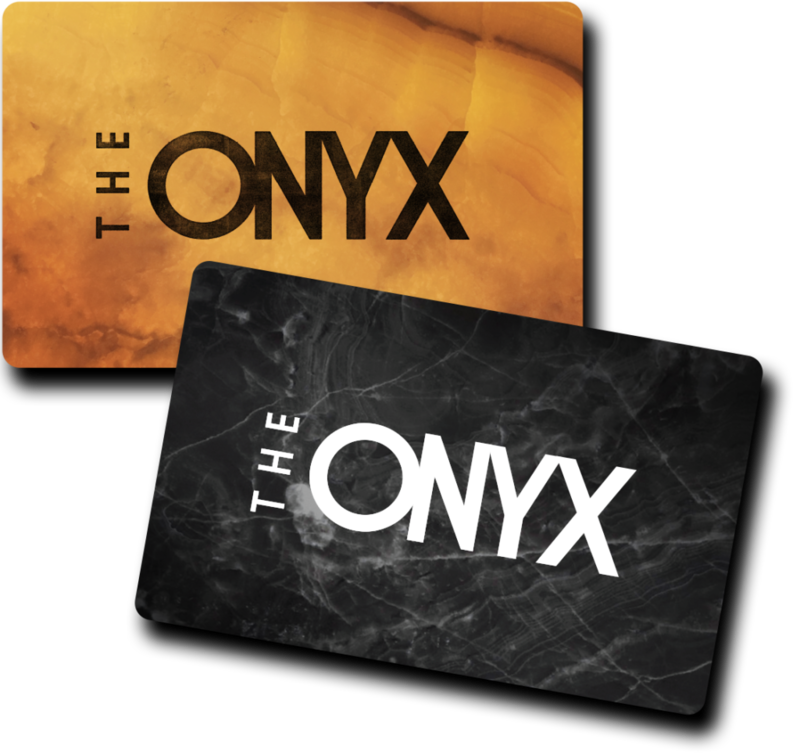 Onyx Gift Cards are available for purchase at the box office in any denomination ($10 minimum). Your Onyx gift card may be redeemed at the theatre anytime for any box office or concession items, and never expires! Cards are rechargeable, re-giftable, and (we think) really cool. Cool gift bags for cards are available for $2, or $4 if you want to add a Free Popcorn token to your gift. In a time when so many people can instantly order up a movie online, and even watch it on a big-screen TV in the comfort of their own living room, why leave home at all Our mission at the Onyx Theatre is to answer that question quietly but confidently: this is the way movies were meant to be seen.